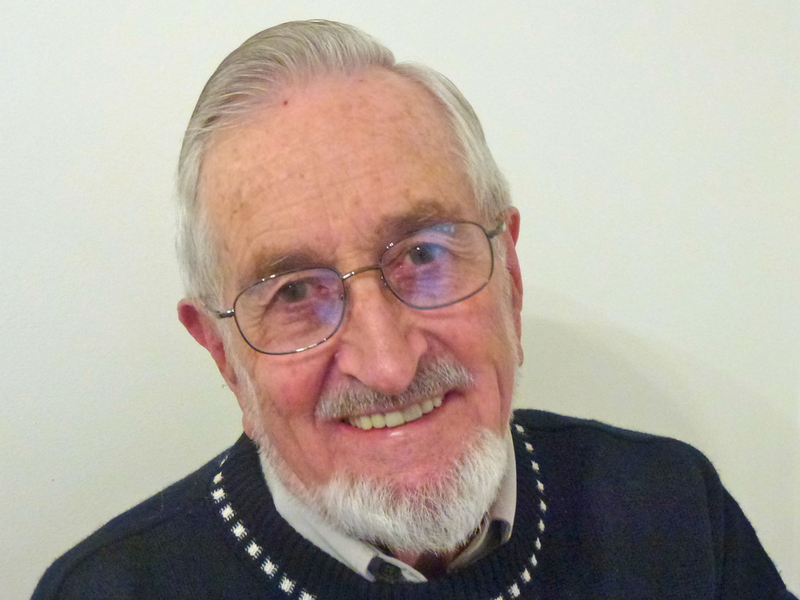 Rev Bruce Prewer served as a Minister at Pilgrim Uniting Church in the 1980’s. His contribution is well remembered, and cherished. He developed an authentic Australian voice in the liturgies and prayers he wrote and shared generously through his published books and online. His work lives on in worship liturgies at Pilgrim, and in congregations across the globe. Well done, good and faithful servant! 28th April 1931 – 11th September 2018 Rev Stan Clarke, Minister, Sunbury Uniting Church (Victoria) prepared this eulogy for Bruce’s funeral. Following a protracted illness Bruce passed away surrounded by family in Victoria on 11 September, 2018. Born in 1931, the youngest of four children, Bruce’s early years were spent at Dilston, in Tasmania. He credited reading the daily paper during an extended hospital stay caused by rheumatic fever with opening his mind to the world beyond Dilston. His experience of fire and brimstone preachers engendered in the young Bruce a hatred of religion. He made up his mind that he wanted nothing to do with their God. He leaned towards agnosticism in his teens, continuing to attend worship with his parents, enjoying the pipe organ playing and smorgasbord of hymns in the Methodist Hymn Book. That there were pretty girls in the junior choir didn’t escape his notice, either. Yet it was a time of deep discontent for him. In March 1949, he attended an evangelical rally and gave his life to Jesus. He described this as the big turning point in his life and “the smartest thing I ever did”. Only a few months later, during worship service he had a mystical “auditory” experience of being called to ministry. After a year at Otira College in 1950 the “church fathers” decided to fast-track him into the ministry. In 1955, he was posted as probationary minister to King Island, and was given permission to marry Marie Goldsmith, which he said was the “second smartest thing I ever did”. 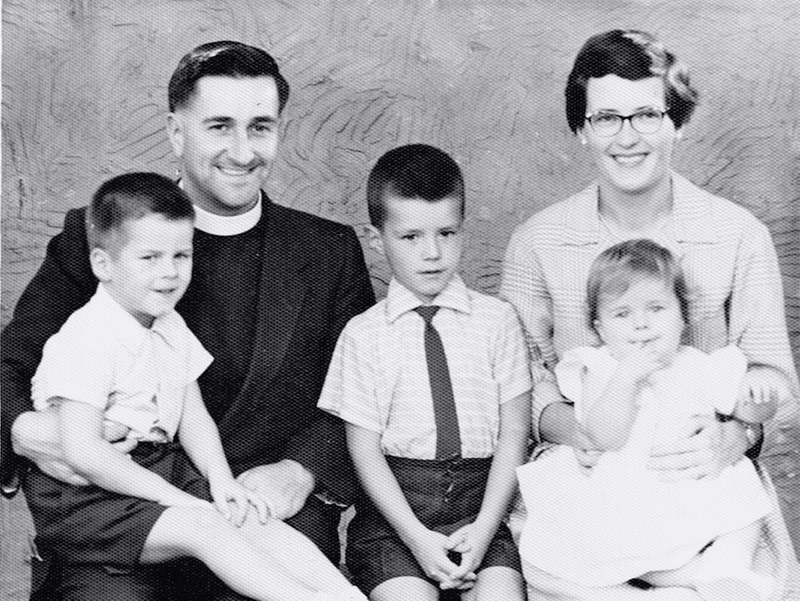 In March 1957, he was ordained at Wesley Church, Melbourne and posted to Wynyard, Tasmania, where he began to experiment with different styles of worship. Having rearranged the church set-up, he introduced informal talk-back evening services, singing rock music and African-American spirituals. The often infamous Truth magazine did an article portraying him as a young rebel breaking the old traditions. Following a posting at Glenorchy in Hobart, Bruce was granted his desire to move back to Victoria to be closer to family. He was posted to Mt Waverley, High St Road. At this time he was first diagnosed with the depression that affected him his whole adult life. While travelling overseas Bruce encountered the art of Norwegian sculptor Gustav Viegland, particularly his celebration of ordinary people. This helped Bruce see his country and culture from an outside perspective. Viegland inspired Bruce to get on with some of his own down-to-earth Aussie poetry. Bruce’s proficiency as a poet is well known in Australian churches. His first book, Australian Psalms, became a religious best-seller. Among other works to follow were: Brief Prayers for Busy People, Kakadu Reflections, The Boomerang Bender, Prayers for Aussie Kids, My Best Mate, More Australian Psalms, Australian Prayers, Australians at Prayer, Prayers for the Twenty-first Century, and Beyond Words: reflections on the Gospel of Luke. His final book, Faith’s Last Hurrah!, went to press just months before his death. For over six years Bruce served in ministry at North Essendon, which was a significant and productive period of his life. Bruce was among those who helped pioneer “field placements” for candidates in training for the ministry, providing supervised, hands on, in-parish learning. Commencing ministry at Adelaide’s Pilgrim Church in 1981 he withdrew from wider church involvements to focus on being a pastor, counsellor, preacher and worship enabler. He became enamoured with the wilderness beauty of the Flinders Ranges. The abundant wild life and the prehistoric story of the Aborigines in Kakadu National Park featured in his writings. Once more feeling the tug of family back in Victoria, Bruce moved to St Andrews, Bendigo, in 1989. This time of ministry was curtailed two years later when his chronic depression brought his general health to breaking point. When his health improved he resumed writing, and developed his website of lectionary/worship resources. He wrote steadily until his health again declined. Bruce described himself as a “theological mongrel”, “a wandering child of God who has been found,” not sitting comfortably in any school of theological thought. He saw himself as a true evangelist, someone with some very Good News that he wanted others to experience. While Bruce thought his words were “pathetically inadequate”, many have found those words enriching and inspiring in their own encounter with Jesus. Bruce is survived by his wife, Marie Joyce, sons David and Martin and daughter Chris, eight grandchildren and one great-grandchild. 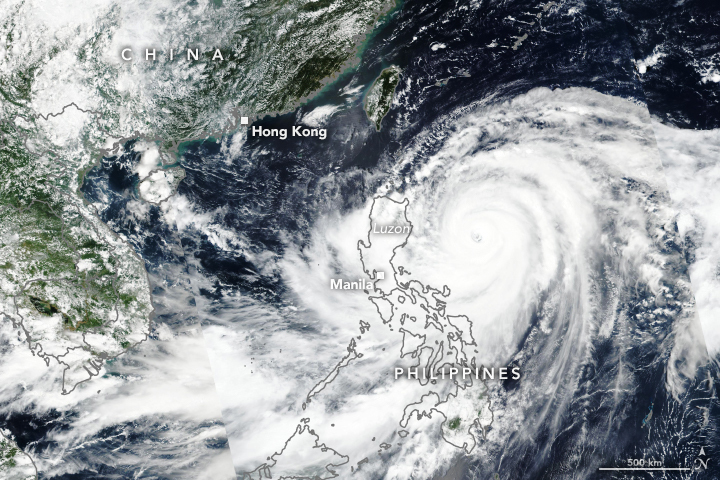 In the wake of the devastation of Super Typhoon Mangkhut, Uniting Church in Australia President Dr Deidre Palmer has called on UCA members to pray for the people of the Philippines and our partner church, the United Church of Christ in the Philippines (UCCP). Dr Palmer has written the below prayer in solidarity with our brothers and sisters in the Philippines. I have been listening to many different voices across the life of the UCA, both in the lead-up to the Assembly and since. For many people this is a good decision that reflects the openness of UCA and allows our diversity to exist within our communities. I have also engaged various UCA communities and leaders, including CALD leaders and Chinese communities. For many of them, the Assembly decision is pastorally difficult. As I have listened, one question has kept emerging. How do we hold together two equal and distinct statements of belief? It is like holding a family together through difficult times – not easy. First of all, the existing statement of belief has been retained. “Marriage for Christians is the freely given consent and commitment in public and before God of a man and a woman to live together for life”. An additional statement of belief has also been adopted. “Marriage for Christians is the freely given consent and commitment in public and before God of two people to live together for life”. With these two statements, the members of our Assembly have decided not to have a unity of sameness in which everyone agrees on a single statement. The decision essentially allows our diversity to coexist. At the heart of this decision is to uphold and celebrate who we are as the Uniting Church, namely unity in diversity. In the month of September, and concluding on the feast of St Francis on October 4, many people focus on the ‘season of creation’. For Christians, creation is not merely an academic discussion about evolution or not – it is now, much more, seen as an essential part of mission, in partnership with others who share concern for “our common home”. Caring for God’s holy and sacred earth is a spiritual practice. The environmental crisis is a spiritual crisis. We will not cherish or protect what we take for granted. We will not restore and renew what we do not revere. We will not save what we do not savor and regard as sacred. The earth is not a commodity to be consumed by our greed and arrogance. The earth is a sacred community we share with all living things. When people wanted to know more about God, Jesus told them to pay attention to the lilies of the field and the birds of the air. We can learn as much about ourselves and God from one single wildflower as we can from a thousand books of theology on a shelf. The essence of prayer is connection. Perhaps the best prayer for the care of creation is to step out into creation today and be reminded of our sacred connectedness with all living things. Perhaps the best way to heal and restore the earth is to be healed and restored by the earth. Be present to God’s sacred and holy earth, the sacred community we share with all living things.